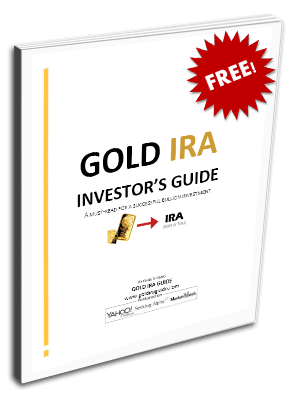 Gold IRA GuideCommodities Bad News is Good News for Oil Prices? It's tough being a contrarian. Prices may initially move in a direction that is opposite to what is expected. People will offer plenty of reasons why non-mainstream views are wrong, or at the very least, early. It can be difficult to stand firm when enthusiasm for an existing trend is strong and widespread. That said, such a combination is often a compelling sign that a seemingly one-way bet is no longer a sure thing. This appears to be the case in the oil market, where prices have fallen farther, faster and longer than many observers, including industry experts, expected. As noted in “Awaiting the Next Crisis,” Saudi Arabia, supported by a contingent of other OPEC members, has been flooding global markets with oil in an attempt to drive low-cost producers in the U.S. and elsewhere out of business. Along with maintaining their share of the market, the Saudis have sought to ensure that the longer-term supply-demand balance favors higher prices. Also undermining energy prices has been turmoil in Chinese markets amid growing fears that the world's second-largest economy is slowing fast, potentially reducing demand for oil and other commodities. The prospect that the U.S. may also falter because, as some believe, the Federal Reserve's move to tighten monetary policy came at exactly the wrong time, has also raised concerns about demand. On the supply side, the likelihood that Iran will soon be exporting up to 500,000 per day of crude oil is also undermining sentiment. Many analysts believe this development, in particular, sets the stage for further price falls in the weeks and months ahead. One problem with these rationales–except, perhaps, for the exact timing and magnitude of Iran's pending exports–is that they are widely known. Headlines about falling oil prices, along with the reasons why, have blanketed the airwaves and the Internet. Even those who don't normally follow what goes on in commodity markets are aware that oil, gasoline and other energy products have fallen to multi-year lows. the call for oil in the $20s has grown louder. Goldman Sachs Group Inc. gave a 50 percent chance of oil falling to $20 in September and Morgan Stanley said Monday that a strong dollar could drop oil below $30. However, history suggests that such commentary, coming as it does after a substantial decline, is often the set-up for a reversal, largely because the “bad news” has already been factored into prices. Indeed, as the following chart suggests, the oil market is nearing a point where interest in the topic has reached a fever pitch. But as was the case in 2009 and earlier this year, such an extreme means something other than what many might expect. The technical picture is also signaling that some sort of bottom is at hand. Prices appear to have traced out a positive momentum divergence, which has in the past been the set-up for a tradable rally. The fact that speculative positioning, as illustrated below, is at multi-year extremes, which suggests that many bullish hedge funds and CTAs have thrown in the towel, can also be viewed as a positive sign. Finally, while the timing is unpredictable, currently depressed conditions invariably sow the seeds of future price rises. That is because producers will go out of business and facilities will get shut down, exploration and production investments will be curtailed, and some energy conservation plans will be put back on the shelves. Reports that Australia's BHP Billiton is writing down $7.2 billion of its U.S. shale assets and BP plans to axe nearly 17% of its upstream staff over the next two years suggest such a retrenchment is already underway. It's worth mentioning, of course, that even when the elements that signal an impending trend change are in place, that doesn't necessarily mean it will happen. Still, if history is any guide, it might not be too long before many are wondering just how high energy prices can go.